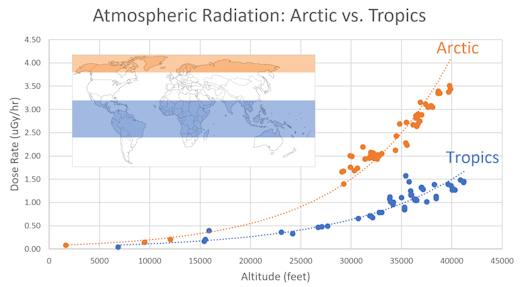 RADS ON A PLANE--NEW RESULTS: Many people think that only astronauts need to worry about cosmic radiation. Not so. 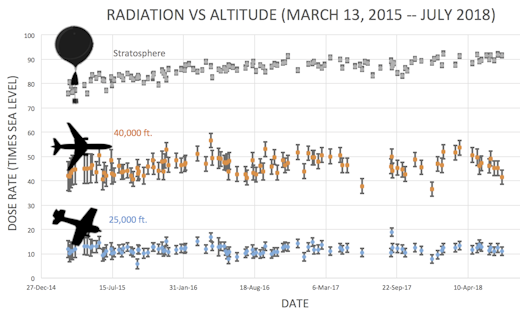 Ordinary air travelers are exposed to cosmic rays, too. A recent study from researchers at Harvard found that flight attendants have a higher risk of cancer than members of the general population, and the International Commission on Radiological Protection has classified pilots as occupational radiation workers. How much radiation do you absorb? 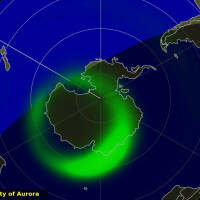 Spaceweather.com and the students of Earth to Sky Calculus have been working to answer this question by taking cosmic ray detectors onboard commercial airplanes. Flying since 2015, we have collected more than 22,000 GPS-tagged radiation measurements over 27 countries, 5 continents, and 2 oceans. (A) A global overview of our flights. (B) To show the typical density of our data, we zoom in to the Four Corners region of the USA. 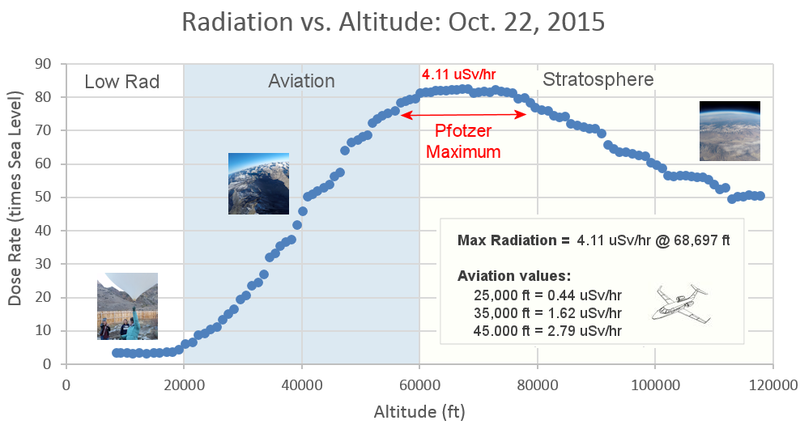 Radiation always increases with altitude, with dose rates doubling every 5000 to 6000 feet. 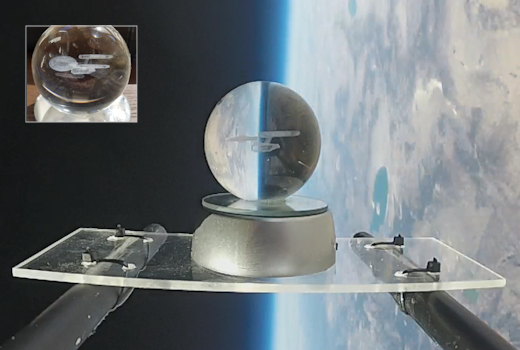 This make sense: The closer you get to space, the more cosmic rays you absorb. We see that the Arctic is a high radiation zone. This comes as no surprise. 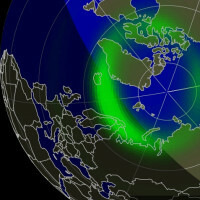 Researchers have long known that particles from space easily penetrate Earth's magnetic field near the poles, while the equator offers greater resistance. 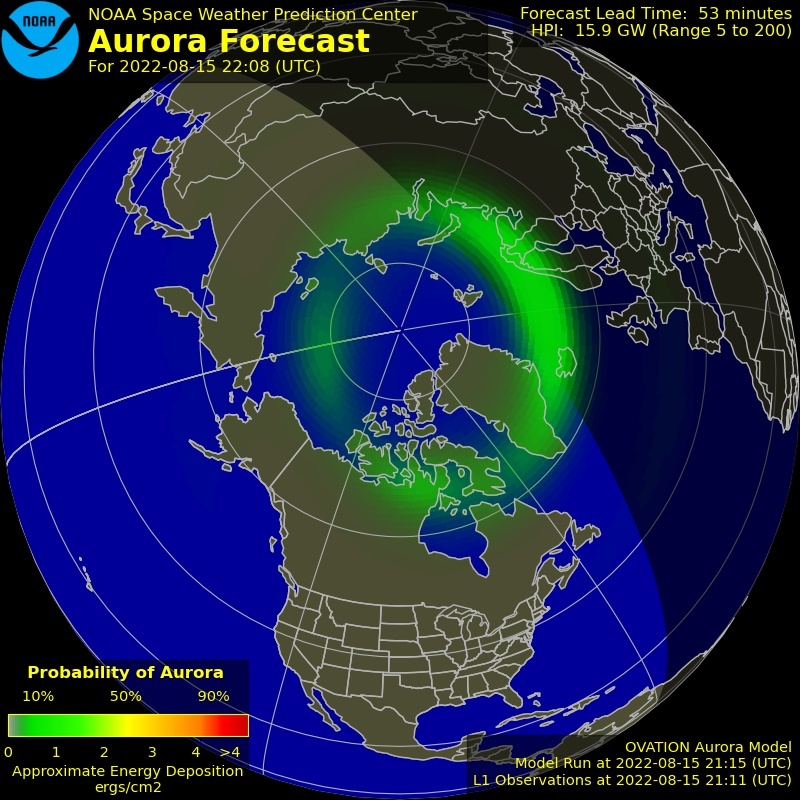 That's why auroras are in Sweden instead of Mexico. 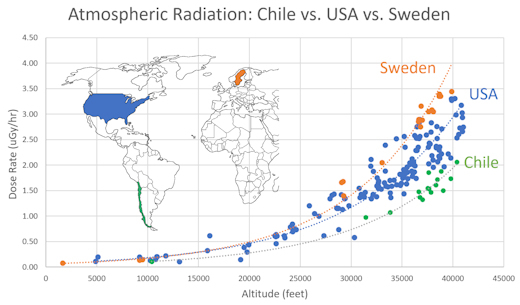 Generally speaking, passengers flying international routes over the poles absorb 2 to 3 times more radiation than passengers at lower latitudes. Although Chile does not cross the equator, it has some of the lowest readings in our database. 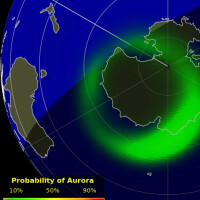 This phenomenon is almost certainly linked to Chile's location on the verge of the South Atlantic Anomaly–a distortion in Earth's magnetic field that affects radiation levels. 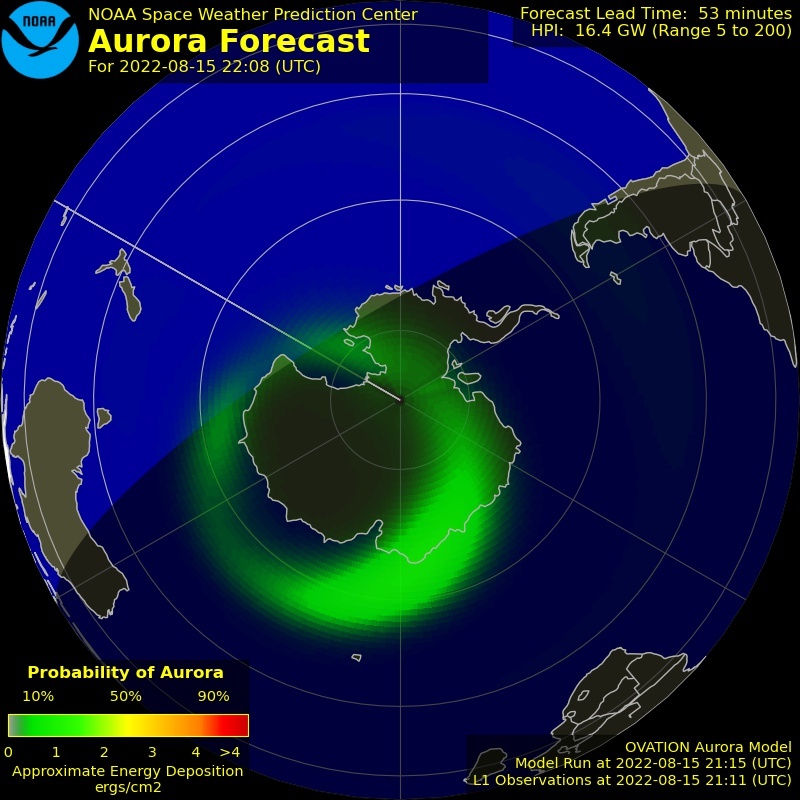 We are actively investigating the situation in Chile with additional flights, and will report results in a future blog. The two curves are indistinguishable below ~30,000 feet, but at higher altitudes they diverge. 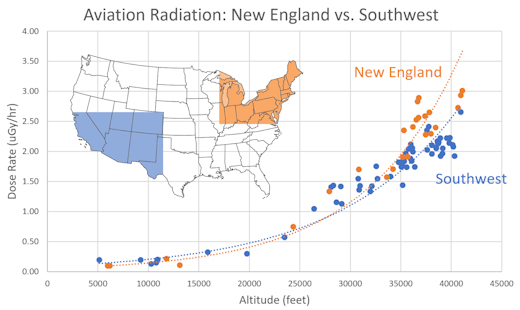 By the time a plane reaches 40,000 feet, it would experience 30% more radiation over New England than the same plane flying above the desert Southwest. According to our measurements so far, New England is the "hottest" region of the continental USA, radiation-wise, with the Pacific Northwest a close second. 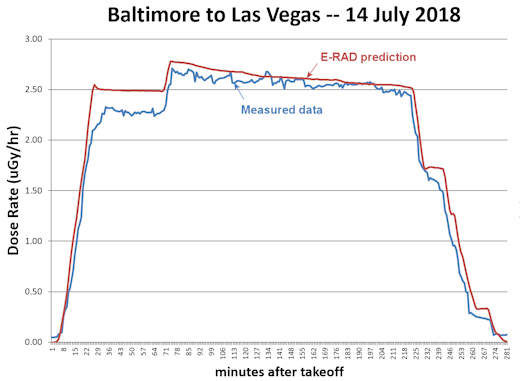 Perhaps the most important outcome of our work so far is E-RAD–a new predictive model of aviation radiation. 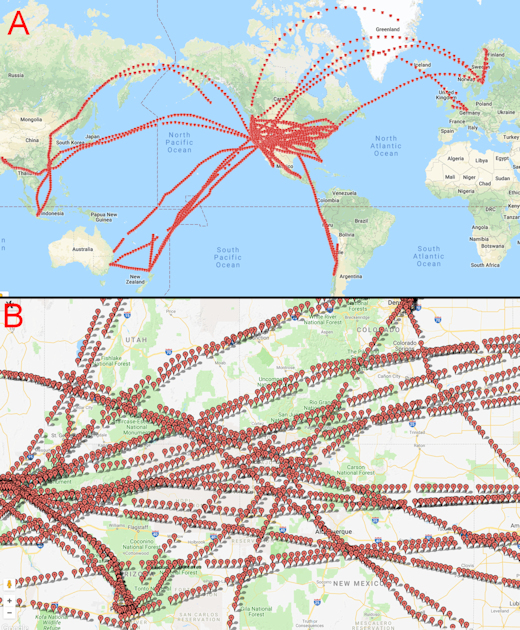 We can now predict dose rates on flights in areas where we have flown before. 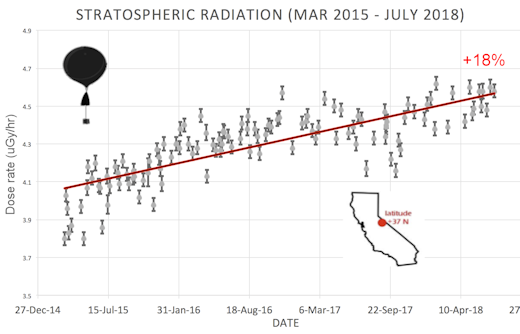 Because it is constantly updated with new data, E-RAD naturally keeps up with variables that affect cosmic rays such as the solar cycle and changes in Earth's magnetic field. The two agree within 10% for most of the flight. These errors are shrinking as we add new readings to our database. The results in this report are offered as a preview of what we are learning. Our database is growing almost-daily with new flights to new places, and we will have more results to share in the weeks ahead. We've created a website to showcase what we are learning and ultimately to let you, the reader, interact with our databases as well: RadsonaPlane.com. 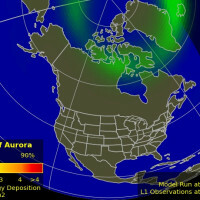 On Oct. 3, 2018, the network reported 40 fireballs. On October 3, 2018 there were 1923 potentially hazardous asteroids.